For years, Kevin Cain & Associates, CPAs, LLC has been providing quality, personalized financial guidance to individuals and businesses. Kevin Cain & Associates, CPAs, LLC's expertise ranges from basic tax management and accounting services to more in-depth services such as audits, financial statements, and financial planning. Kevin Cain & Associates, CPAs, LLC is one of the leading firms in and throughout Beaufort. By combining our expertise, experience and the team mentality of our staff, we assure that every client receives the close analysis and attention they deserve. Our dedication to high standards, hiring of seasoned tax professionals, and work ethic is the reason our client base returns year after year. Our mission is to help clients maintain financial viability in the present, while taking a proactive approach to achieve future goals. This requires open communication to reach an understanding of our clients' needs through research and sound analysis. Kevin Cain & Associates, CPAs, LLC is dedicated to meeting these goals with high standards of excellence and professionalism. We have been a staple of Beaufort's business community for years, and pride ourselves on the level of esteem we have earned. Our dedication to hard work has earned the respect of the business and financial community. We believe this to be a direct derivative of our talent and responsiveness to our client base. Whether you are a current or prospective client, rest assured that individuals and businesses who choose Kevin Cain & Associates, CPAs, LLC receive competent and timely advice. 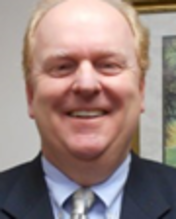 Kevin Cain, CPA received his Bachelor of Science degree in Accounting from Winthrop University in 1987. He has been a member of the American Institute of Certified Public Accountants and the South Carolina Association of CPAs since 1990. 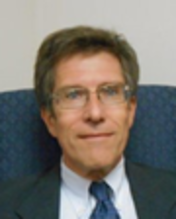 He has 24 years of experience advising individuals and small businesses on income tax strategies, and researching income tax issues and income tax compliance. He has also managed accounting and audit engagements for municipalities, fire districts, water authorities, transit authorities, technical colleges, nonprofit organizations, homeowners associations and private for-profit companies. Kevin established the firm in 1996. When not working, Kevin enjoys boating with his wife and daughter in the rivers and creeks around Beaufort, playing golf and racquetball with friends. Wayne Promislow, CPA received his Bachelor of Science degree in Accounting from the University of North Carolina at Chapel Hill in 1979. He is a member of the AICPA and the South Carolina Association of CPAs. He has four years experience working in the tax department of Price Waterhouse Coopers during the mid-1980s. More recently he has served as a senior manager of a regional accounting firm supervising audits and tax services. Wayne has been a senior manager of the firm since 2006. 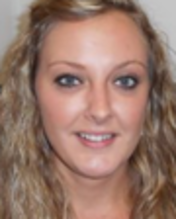 Chelsea McDermott joined our team in tax season 2010. She is originally from West Virginia. She studied elementary education at West Virginia University at Parkersburg and has worked in the business community for the past several years. 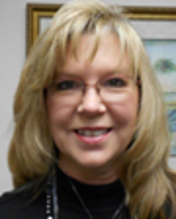 Elizabeth Cain has worked in corporate management for over 15 years. She and her team won numerous awards for excellence in customer service and exceeding customer expectations. She attended the University of Southern Mississippi where she majored in Botany. She also received extensive training from Disney University for Leadership and Customer Service. Pulte Corporation awarded her with the designation of Top Gun for her leadership in sales management. When not working, Elizabeth boats with her husband, volunteers at her daughter's school, loves to read and play board and computer games with her family.